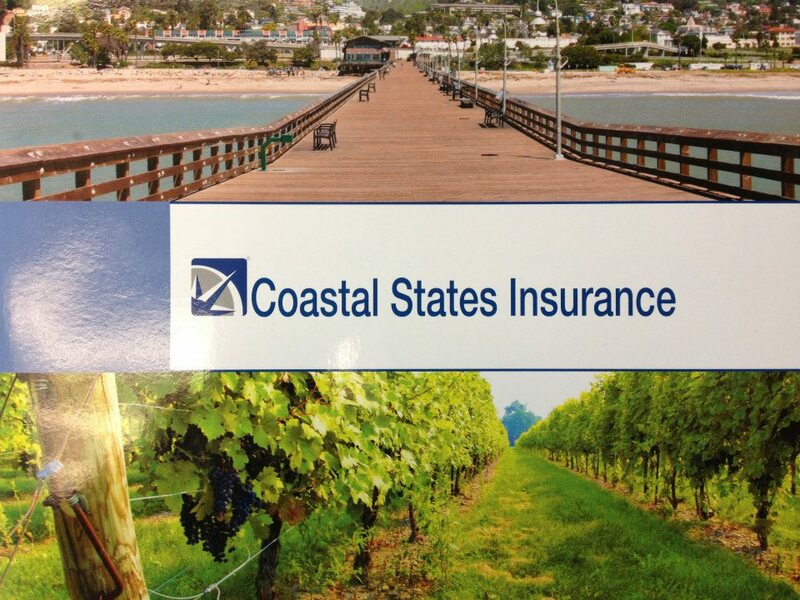 As a locally owned and operated insurance agency in Ventura and Paso Robles California, Coastal States Insurance is committed to providing quality insurance products for individuals and businesses. We combine our strong insurance background and product knowledge to assist both current and future clients manage and plan for all types of potential risk. Whther you own a business or are simply looking for better protection to safeguard your home and family, we are here to help. We truly appreciate being able to satisfy our clients needs through our underwrtting relationships formed over the last 30 years. Our trusted insurance professionals are here to help you with every step of the insurance process and can design a personal or commercial insurance policy to fit your needs. Our executives will stay in touch with you throughout the entire process to avoid any confusion. We will also enure you are comfortable every step of the way by answering any questions or concerns you might have when shopping your current polcicy. With Coastal States Insurance, our friendly staff will work with you on a one-on-one basis to develop not only the perfect policy, but a lasting relationship. When you work with Coastal States Insurance, youâ€™ll experience the exceptional service and attention to detail that you can only find with an independent insurance agency.Contact one of our executives today for a complimentary comparison of your additional insurance options available to you. We look forward to earning the right to managing your insurance portfolio with your best interest at heart from the day we meet, looking forward.